Snickers is a lovely dog. She has her quirks and bad habits. She likes to express her jubilance at meeting new people by either (a) jumping up on them or (b) peeing on the floor. She also likes to chew up plastic hangers. A couple each day – or about a pack a week. The best part about Snickers is how gentle and sweet she is with our kids. They can do just about anything to her (and have), and she shrugs it off. I’m actually a little surprised that she has any fur left at all. Or any ribs. Or a backbone. Or a tail. Or any shred of dignity. What would you sell? What's not for sale? Clutter. It's everywhere. We have clutter in our closets, clutter on our desks, clutter in the passenger seat of our cars. Television is cluttered with pointless programs; the roads are cluttered with traffic jams; your Facebook news feed is cluttered with ads and requests to play Candy Crush. With three small boys, I am faced with the challenge of clutter every single day. We have lots of junk, and we keep accumulating more. More action figures, more matchbox cars, more sports equipment. I spend my mornings and nights dodging toys of all shapes and sizes. I think it might be time for a family garage sale! In fraternity, we have a lot of clutter too. Stuff and things we have accumulated over decades of our existence. And, frankly, a lot of things that just don't matter (although good luck trying to take them away). The clutter is getting so bad, that for many fraternities and sororities, it's covering up what really counts. When many people see fraternities and sororities, all they see is the clutter and get confusing messages about what fraternity really is. So - how might we clear away this clutter? How about a Great Fraternity Garage Sale! It's almost Spring, and so it's almost time for houses across this land to open their garages, set up their folding tables, and lay out everything they are willing to part with. Let's try the same thing. 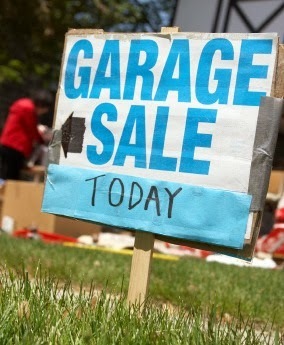 If we had a Great Fraternity Garage Sale, what would you sell and what would you keep? Things you are willing to sell, but they have value, so you would price them high and not negotiate too much. Things you are willing to sell more eagerly, so you price them low and would negotiate even lower just to get rid of them. Things you want to get rid of so badly, you would give them away for free. Things that are not for sale. What if we used this same criteria to try and clear away the clutter in all of fraternity and sorority life. We have clutter in our chapters, in our councils, in our Greek communities, and in our national organizations. If I were to do this exercise, this is how my Great Fraternity Garage Sale might look, table by table. This category would refer to things that have some value, or some previous value, but aren't sacred. Your grandpa's medals from the war wouldn't be in the category, but his old fishing pole might. I can think of a few things in the fraternity experience that I would classify this way. For example, I would put houses in this list. I've written on this blog before on how houses are a luxury, but not essential for a fraternity experience. I enjoyed my time in a fraternity house as an undergraduate, but I don't think I'd be less of a Theta Chi without it. I would also put big brother/sister programs here as well. These can be helpful and significant if done correctly, but I don't think you change fraternity fundamentally if they go away. Another item that could go on this table is philanthropy events. It would be even lower on the list, except for significant dollars raised by some organizations (e.g., Penn State Thon). The reason many philanthropy projects could be considered clutter is because they're often presented more as intra-Greek social events that do not look very altruistic. Ping pong tournaments and teeter-totter-a-thons may raise some money for a charity, but they give the appearance of a blithe approach to serious problems. This is where you put your old CDs or DVDs. Maybe an old gaming system. I can think of at least three big pieces of clutter in Greek life that should go here. First is pledging. If you've read this blog, you'll know I believe pledging is unnecessary. It can be a nice educational program if done well, but it can also lead to hazing, divisions, and apathy. Our founders and members of our groups for decades didn't have pledging or need it, and truly, neither do we. I would also put Formal Rush in this category. This would refer to any structured and organized efforts to bring new members into our organizations. While things like open houses, Rho Chi's, and Bid Day can be fun and exciting, we could survive on handshakes and word-of-mouth alone if needed. And, because formal rush is rigid and restrictive, it can actually hinder growth. So, I would probably mark it down all day until it's gone. Fifty cents? Sold. A third item would be the concept of "Greek Community." How much time, energy, and dollars are spent in pursuit of an ideal in which all fraternities and sororities get along, look out for each other, and sacrifice for the greater good? It's not wrong to desire these things, but competition and organizational autonomy are in our collective DNA. I would be willing to sell this in favor of expecting that each chapter will perform up to its highest potential, and the community will grow stronger because of that. This table would be pretty full. Other items might include theme parties, most philanthropy projects (e.g., the ones disguised more as social events), conventions, Greek Week, and standardized member development programs. Table #3: Free - please take it away! This table would feature mostly junk. These are things that have no real value, such as a cassette walkman. For fraternity and sorority life, we might put paddles, mugs, and the endless T-shirts here. (BTW - those unfamiliar with Greek life, I'm referring to paddles like these). These decorative trinkets can be fun, but completely irrelevant to the mission and purpose of our organizations. 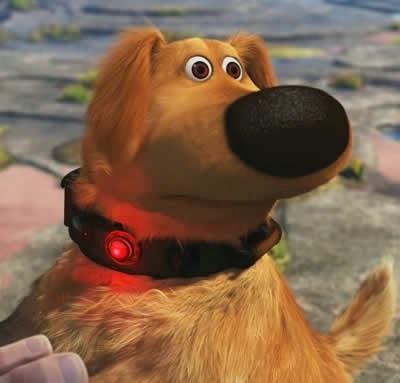 I would also include test files here. Sure, these could be used for positive reasons, but they look and feel an awful lot like organized cheating. We don't need them anymore. Of course. this is where we should put the clutter that's endangering our future. Hazing, for example. Some chapters' culture of alcohol abuse makes this list. Offensive party themes as well. You know what? We shouldn't even give these things away. There's a dumpster out back. Ritual. The one thing we should not be willing to let go of, for any price, is Ritual. The Ritual is the foundation of the fraternity experience. Within it are the values, the fraternity's purpose for being, and the gateway to true membership. While I think there are a lot of things that distinguish fraternities from other organizations, the Ritual is truly the differentiator. Ritual leads to everything else we love about the fraternity and sorority experience. It creates brotherhood and sisterhood. It places us on the path towards service. It causes us to find higher and noble ways of being. Imagine what our Greek Community would be like if every group was guided by the lessons in their Ritual? Again, it is not for sale. It can't be. Yet, for how many chapters out there, would the Ritual be something they would let go of as easily as the ugly lamp in the basement? These are the chapters that only pay attention to Ritual once a year (if that). It's only an archaic ceremony to them, and something that stands between pledging and the initiation party. I invite you to think differently about Ritual. It should be protected and cherished as if it were a priceless treasure. Because it is. It's the most valuable thing we own. It's the sun to our solar system. Truthfully, I enjoy most of the items I was willing to sell up above. 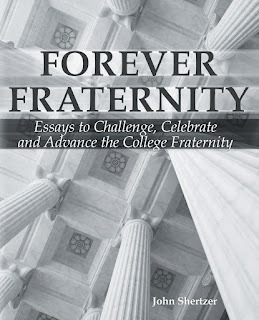 Many of those items bring fun and excitement to the fraternity experience. But, if we really needed to drill down to the most essential thing we need, it's Ritual and nothing else. That's the point of this essay. We will still have a lot of clutter in the Greek experience, but it should always be regarded as clutter. And if we stash it away, throw it away, or sell it away, fraternity will still carry on. Because the Ritual is not for sale. Let us not cheapen the Ritual either, but ignoring its teachings. If we live the Ritual in our daily lives, then its value grows. It's not like an old baseball glove or an old rocking horse, each of which wear down over time and because of neglect. After decades of existence, the Ritual should look better today than ever before. The more it's used, the stronger it gets. 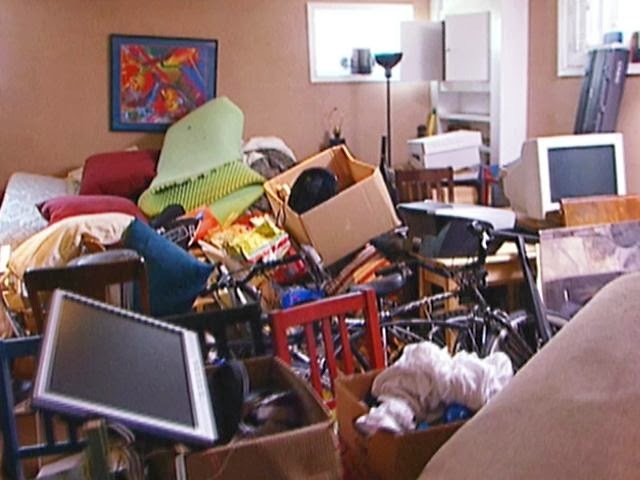 If you have a fraternity or sorority house, it's probably full of a lot of clutter. If I toured it, I would see nice furniture in the front room, rows of composite pictures on the walls, bulletin boards full of information, computers, televisions, pool tables, and much much more. But while all of this can make a house a home, it's what's locked away in some chest somewhere in the back of a nondescript closet that really counts. 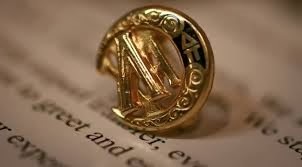 It's the Ritual books that teach us how to be, that inspire is to be more, and that give the energy to the fraternity experience. If everything else had to go away, as long as we have the Ritual, we will carry on. Phi Mu Fraternity invites all interfraternal Greek organizations and campuses with a fraternity/sorority community to participate in the fourth annual National Ritual Celebration Week, March 2 – 8, 2014. The week will once again include the National Panhellenic Conference’s International Badge Day on Monday, March 3, 2014. Programming materials are available online at http://www.phimu.org/nationalritualweek. Program materials have been created by Phi Mu, other inter/national Greek organizations, campuses, and individuals. If you are interested in participating in National Ritual Celebration Week 2014 or contributing additional resource materials, please contact Gabby Leon, Director of Alumnae Engagement, at gleon@phimu.org.